City-Parish Attorney Paul Escott raised questions about the turnaround speed of the AG opinion. He noted at a council meeting Tuesday night that the opinion's language looks similar to a letter from a state senator requesting it. The AG opinion was delivered within 24 hours of the request's receipt, a lightning fast turnaround according to some legal observers. Landry credited quick service to his staff's preparedness on the issue. Landry views the issue as “cut and dried.” It’s not clear that it is. 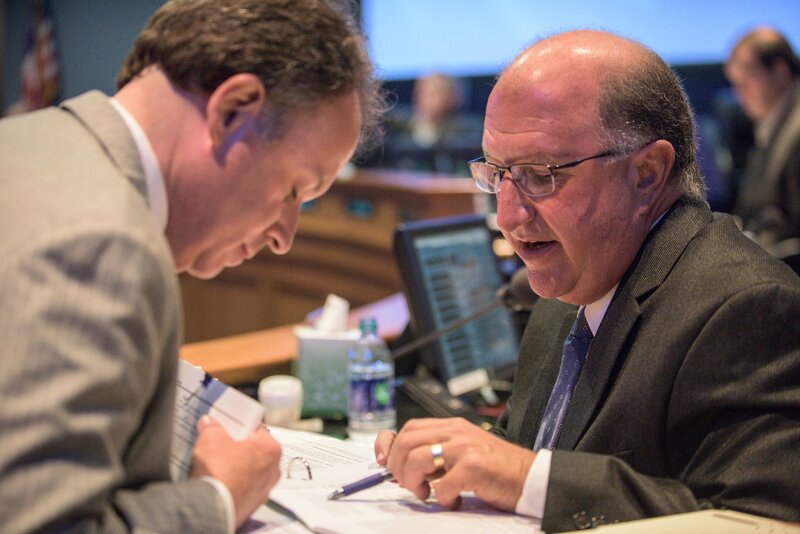 Issued hours before the City-Parish Council passed an ordinance correcting the discrepancies, the AG's opinion does not address glaring problems with resolving the errors by election, the remedy that office recommends. Some charter language prohibits reapportionment “by referendum,” and rules out voting on the same amendment twice in the same year. Then there’s the practical concern that voters may vote “no” on the corrected legal descriptions and leave the parish without legal districts to qualify for voting. 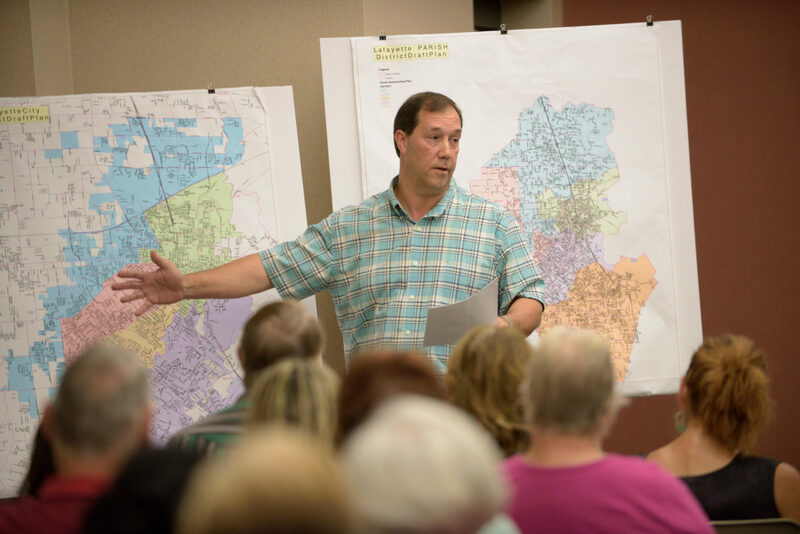 Get caught up, quickly: Errors in the legal descriptions of the map for the new city council districts — literally, words describing a map — have thrown the transition to separate councils into turmoil. In a lengthy report, LCG attorneys confidently argued an ordinance can fix the errors. The attorney general’s office disagreed, saying an election is the only way to make changes. 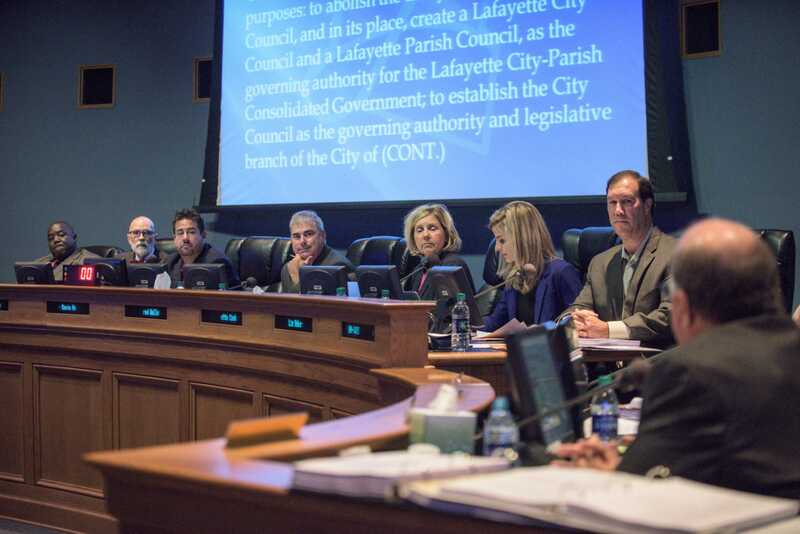 The council approved a reapportionment ordinance fixing the issues by a 6-3 vote Tuesday night, with councilmen Pat Lewis, Jared Bellard and William Theriot voting against it. Now we’re waiting for some mysterious litigant to appear. Not to overburden the point but these two opinions can’t be more opposite. The AG’s office says an election is the way to go and an ordinance is illegal. City-parish attorneys say literally the opposite. To wit, from the local legal memo issued March 10: An election is neither required nor appropriate. And from the AG’s opinion issued March 25: Such changes cannot be made by ordinance of the governing body. What’s odd is that such changes have been made by ordinance for decades. 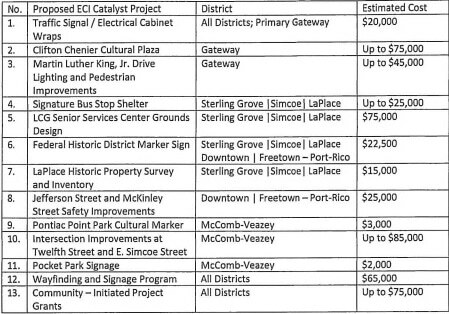 As noted in the LCG report, LCG has routinely reapportioned districts between censuses by ordinance. It’s unclear whether the AG opinion suggests that practice should be outlawed altogether. The local memo says reapportionment “may not be determined by referendum,” a direct contradiction of the AG’s interpretation of the charter and statute. Let’s not argue till we’re blue in the face. I’m not a lawyer. You’re not a lawyer (if you are, sorry). A lawsuit seems inevitable, in which case a judge would settle the dispute once and for all. Rumors that a suit is in the offing seem legit. 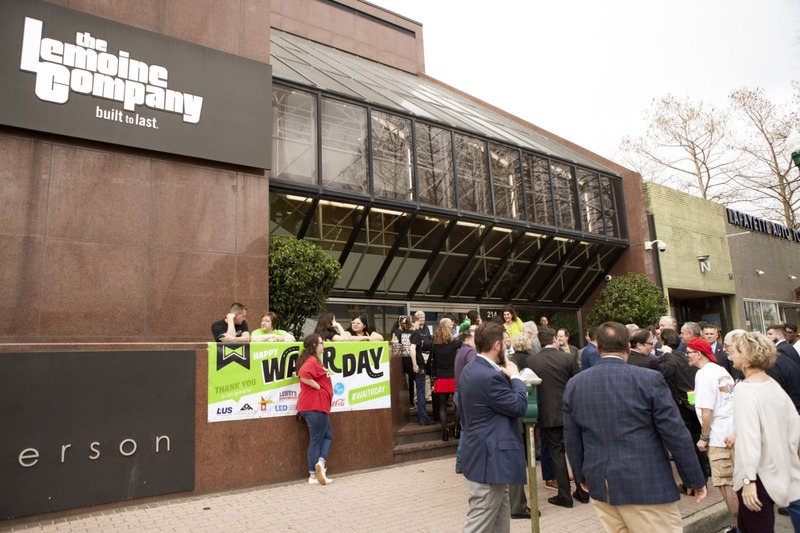 Late last week, on behalf of undisclosed clients, attorney Lane Roy filed an inquiry with LCG prodding whether the charter amendments illegally “disposed” of LUS Fiber. Roy could not be reached before press time. 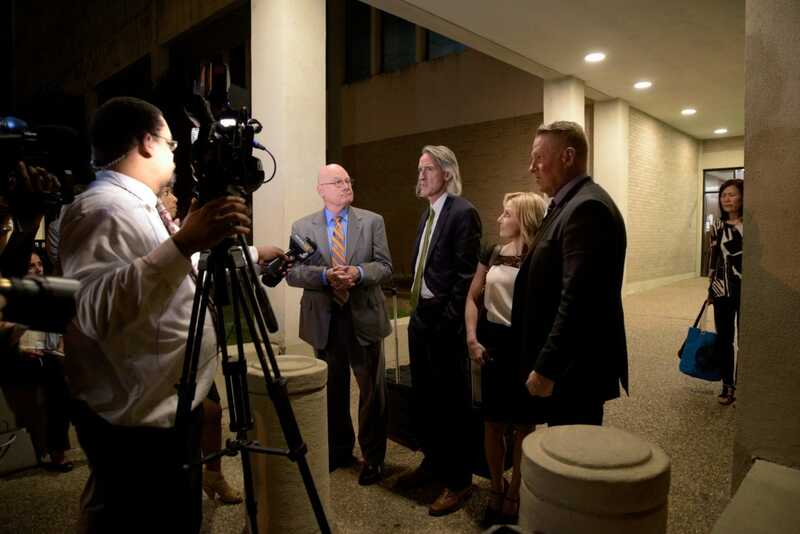 LCG attorney Paul Escott showed steady confidence in the work of his legal team Tuesday night and appeared skeptical of the speed and substance with which the attorney general’s office responded to a Monday request sent by a state senator from Vermilion Parish. “[The request letter] looked strikingly similar to the actual opinion of the attorney general’s letter,” Escott said. Escott contrasted the relatively scant review in the AG opinion with the three weeks of study his team of four attorneys took to produce an 11-page report that concluded an ordinance was the best option. 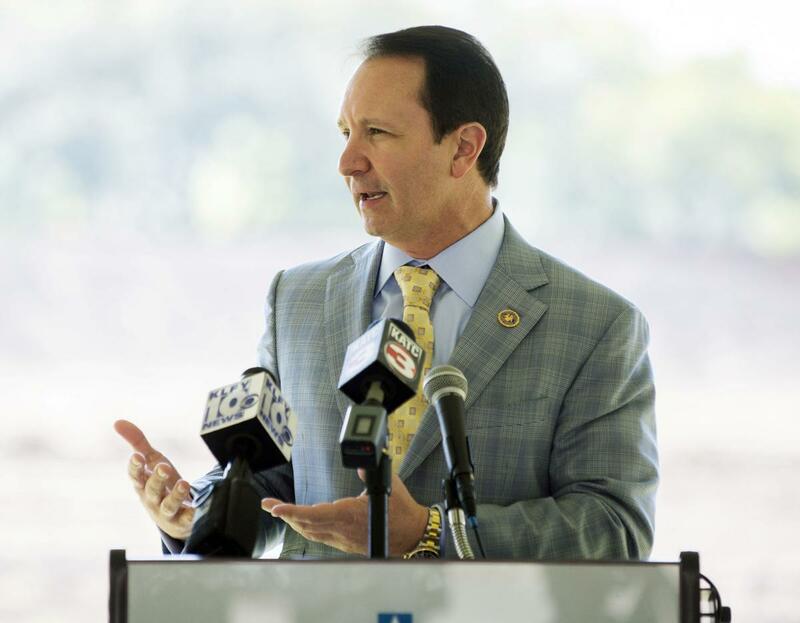 AG Jeff Landry said the quick turnaround was the result of “being prepared” in a radio interview Wednesday afternoon. He defended his office’s work, chiding the council for ignoring his advice at “their own peril” and likened the council discourse on the issue to “high pressure sales tactics.” He also questioned whether the secretary of state would allow candidates to qualify under the maps fixed by ordinance. “I don’t know where it goes from here,” he said. Secretary of State Kyle Ardoin has seen the AG opinion and is weighing his options. Ardoin left the issue up to the council to resolve after first declaring a vote was needed. Spokesman Tyler Brey tells me they’ve not determined what to do in light of the new AG opinion. “We’re not going to wait until deadlines to make these decisions,” he says. Geez, can I run for office yet or what? Lafayette Parish Clerk of Court Louis Perret says he expects to issue revised and final maps in the next few days. The registrar of voters is currently finalizing them after Tuesday’s vote to fix the discrepancies by ordinance. Will the madness ever stop? Probably not. There’s a lot of bitterness clouding the issue. It’s hard to imagine that Tuesday’s vote will be the death of the controversy. Limbo is the key here. Blocks of urban core neighborhoods have languished while the Connector's progress has sputtered. 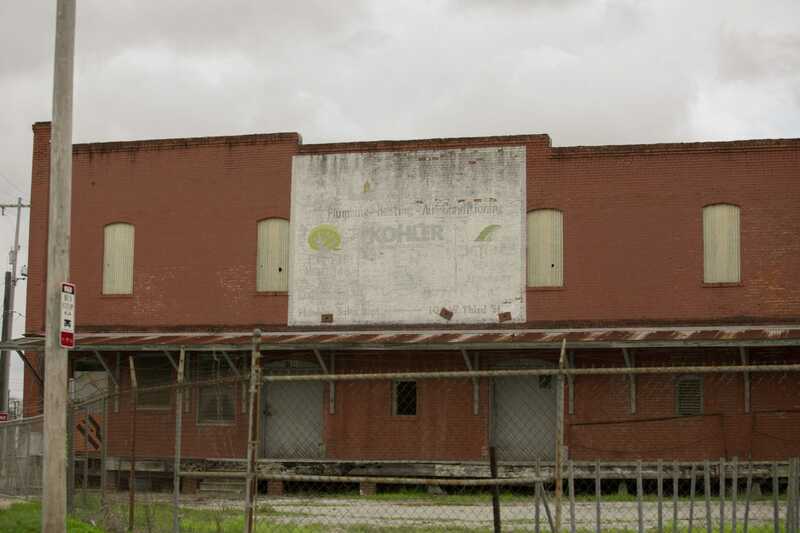 Millions of dollars of properties were purchased by the state over the years to make way for the Connector, including the historic Coburn’s building near the intersection of Second Street and the thruway. That building was spared demolition. Retrofitting it is on the ECI wishlist. Eleventh-hour AG opinion says ordinance can’t fix charter amendment errors. Now what? 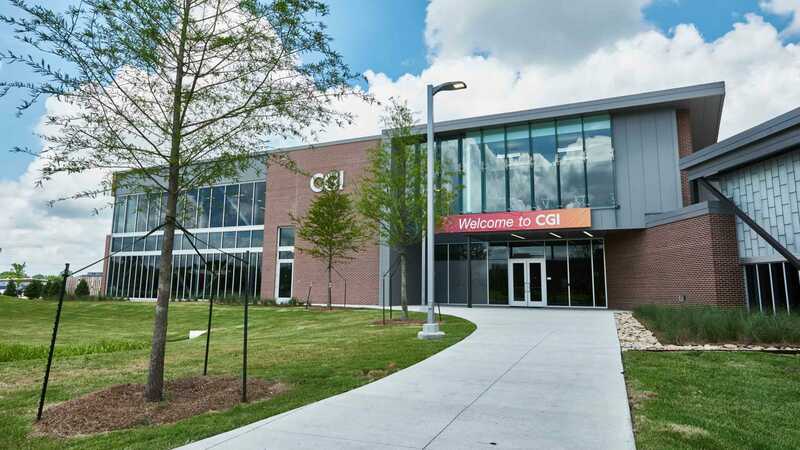 The gist: Hours before the council will vote on a pair of ordinances to fix the errors, Attorney General Jeff Landry issued an opinion saying only an election can re-amend the charter. The quickly issued opinion contradicts one authored by city-parish attorneys earlier this month. Everyone agrees an AG opinion is just an opinion. Across the board, there’s ready acknowledgement that Landry isn’t the law. Still, the contradiction creates a new crisis ahead of the vote given the legal controversy all but guarantees a lawsuit, one way or the other. You can read the opinion here. 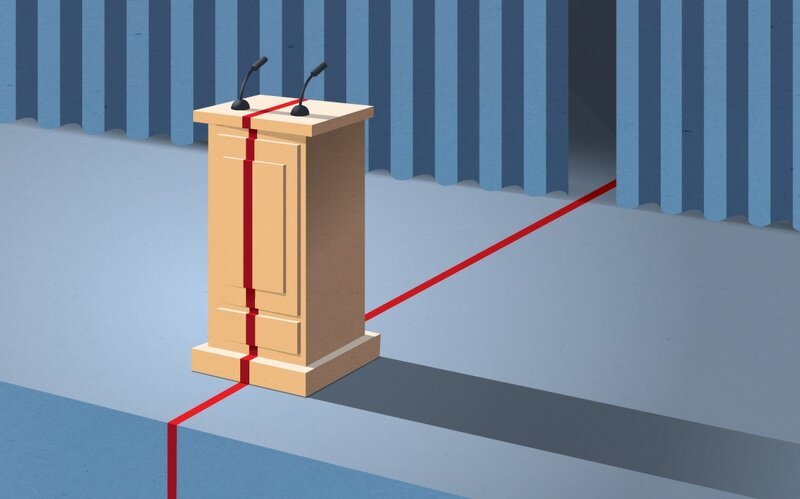 Suspicion abounds that the opinion is about politics, not voting rights. Landry’s links to the local GOP, which opposed the charter amendments, and his reputation for partisanship, raised questions about his objectivity. 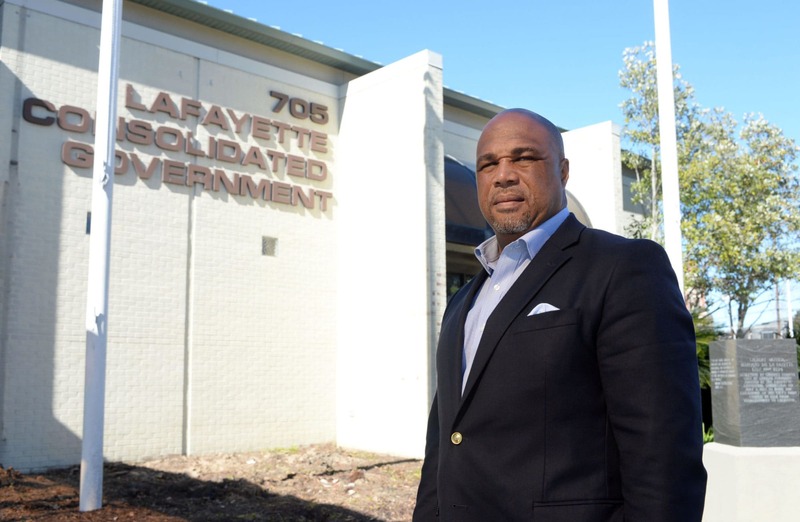 Charter amendment supporters, like Councilman Jay Castille, have called appeals for an AG opinion a “political ploy” designed to create chaos by factions that want to see the charter amendments overturned. 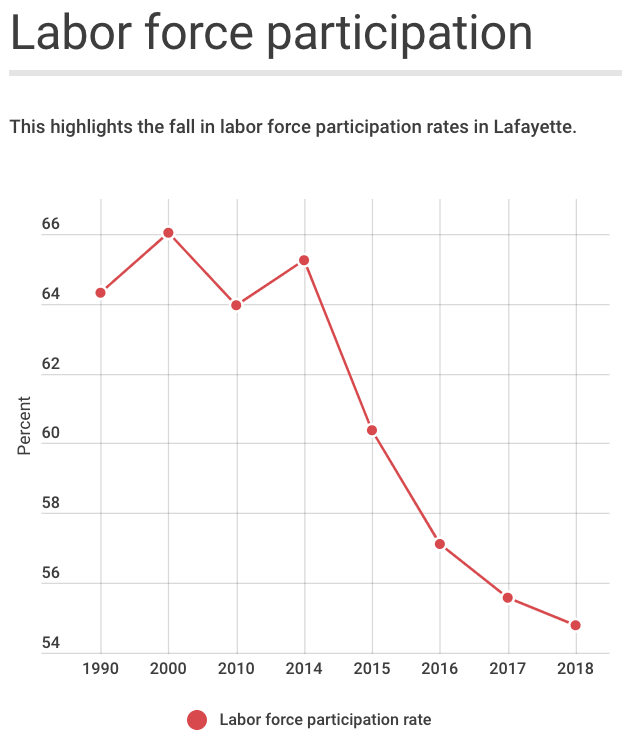 That the opinion was issued within 24 hours of a request by a state senator from Vermilion Parish doesn’t help the perception that a fix is in. Some say screw it, let them sue. LCG attorneys were pretty confident that their extensive legal review, based in part on previous AG opinions, was correct in saying a fix by ordinance is the “best and proper” path forward. And some council members are pretty confident in the local legal staff. OK, so what now? Court, probably. Bellard and Conque both say a declaratory judgment could resolve the chaos once and for all. That was a solution proposed by the Fix the Charter PAC earlier this month. Supposing the ordinances pass, the expectation is someone will sue anyway, so pre-empting a suit by asking the court to rule on the matter could rectify things quickly. The concern is a suit could drag the process out, and the clock is ticking on getting candidates qualified for elections this fall. There are two new councils to elect, and right now the voting process is in limbo. So long as this hangs in the air, candidates can’t qualify. Secretary of State Kyle Ardoin set a July 1 deadline to fix the errors. There’s an outside possibility that council elections will be postponed. 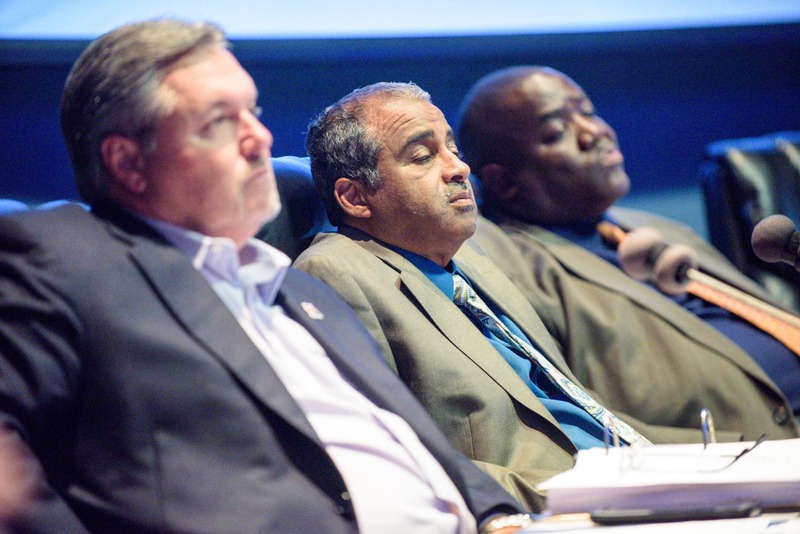 What to watch for: The ordinance votes at the council Tuesday night. The opinion arrived just in time. The council could table final adoption and figure it out in court, or vote the ordinances through and see what happens.